The President of the Federal Republic of Nigeria has dropped a statement concerning the issue of insecurity in the north western part of the nation. "My trip to the United Arab Emirates provided another opportunity to present Nigeria to the world as an attractive investment destination. 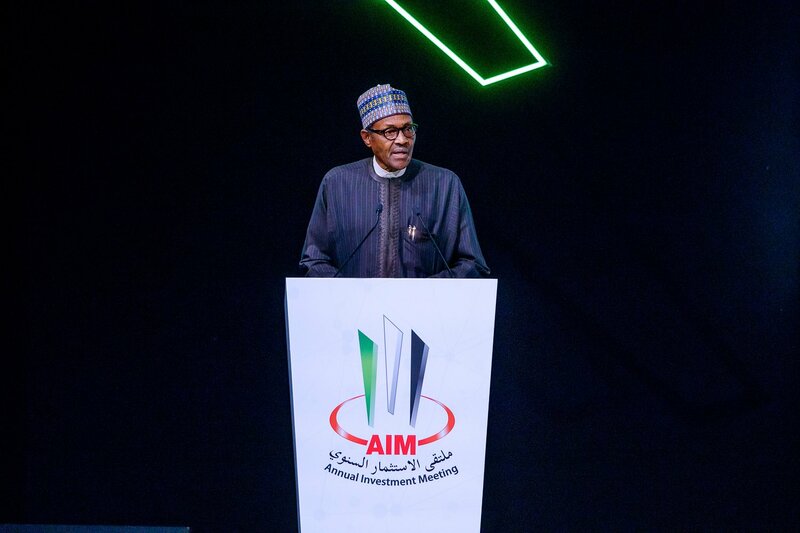 I delivered the Keynote Speech at the Annual Investment Meeting, and met with the Deputy Prime Minister of UAE & the Crown Prince of Abu Dhabi"
"In my meeting with Nigerians living in the UAE, I was asked about what the Next Level entails. The Next Level will be focused on consolidating on what we have done in the last four years, in line with our campaign promises on security, the economy & the fight against corruption." "I seize every available opportunity to explain to Nigerians our situation in 2015, when we came to office; where we are today; and what we have been able to do with the resources available to us. We will continue to administer the resources of Nigeria honestly and productively." "The situation in the North West is a priority for us. We will bring an end to the banditry and insecurity. We are also tackling illegal mining, as well as seriously addressing the underlying issues responsible for the clashes between farmers and herders."